Running in Hartford, CT. Best routes and places to run in Hatford. This riverside city in central Connecticut is famous for being “the insurance capital of the world”. 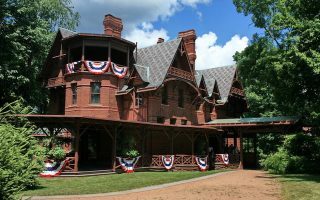 It’s also steeped in a rich history, with some of the oldest schools, parks, newspapers, and museums in the nation, and home to the Mark Twain house, where the Connecticut Yankee penned some of his most famous works. Since the days of Twain, Hartford has experienced somewhat of an economic decline, and lacks some of the infrastructure that promotes running and destination travel in other cities. But there are some good places for running in Hartford. 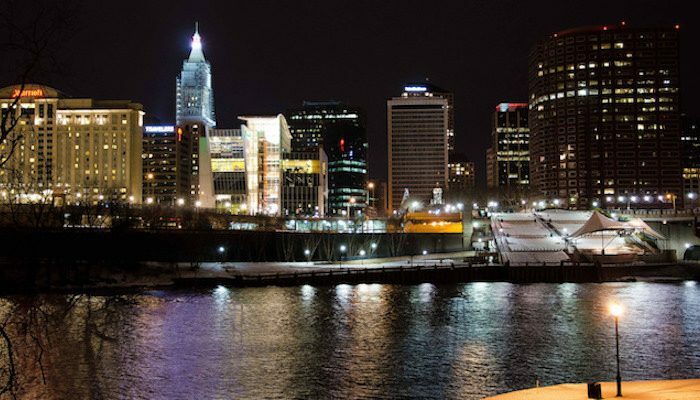 The best places to run in Hartford include the Riverwalk along the Connecticut River, and the greenery of doiwntown’s Bushnell Park and Elizabeth Park. 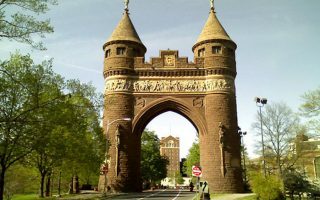 Visitors can enjoy runseeing Hartford with a historic tour around downtown’s most interesting sights, or do as the locals do and run a circuit around the Reservoir system of West Hartford. 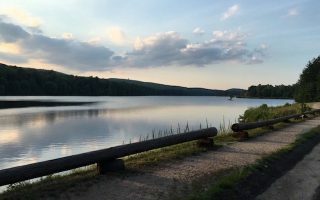 Trail runners should also take note of Connecticut’s extensive state park system, with miles of trails — including the 60+ mile Metacomet Trail — within easy reach of the city. The Hartford Dash shuttle is a free and easy way to get around the business district, riverfront, hotels, and arts and entertainment hubs, though you may need a car for transport to some of the West Hartford routes and trails. Wherever you go in Hartford, be mindful of your surroundings and consider running with a buddy, or better yet, a local running group! 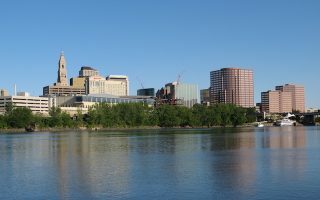 The city of Hartford has embraced it’s frontage on the Connecticut River with over 5 miles of paths and bridges through riverside parks located right downtown. Paths on both sides of the river from the Charter Oak Bridge to Riverside Park. 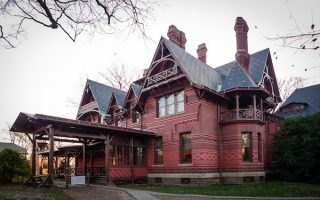 This ~5 mile loop through downtown sidewalks covers the top sights in Hartford, including the Mark Twain house, the Wadsworth Atheneum Museum of Art, the Old State House, and several intriguing sculptures. The lovely walkways encircling a carousel, lily pond, and the Connecticut State Capitol at Bushnell Park are the jewel of downtown. Our route around the perimeter is about 1.25 miles. 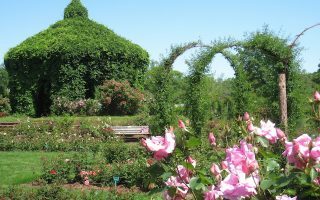 This gorgeous park in West Hartford is known for its elaborate rose gardens, encircled by miles of paved and gravel paths. One loop around the park’s main way is about 1.8 miles, with add-on options. This 6.5 mile run combines the best of Hartford's parks parts of our Hartford history tour. Bushnell Park, a loop around Elizabeth Park, and the important sites along Asylum Ave. & Farmington Ave., which run between the two parks. Local runners love these paved and gravel paths around the city’s reservoir system. 3.4 loop around Reservoir 1, 3.6 mile loop around Reservoir 6, with additional trails and wooded paths. 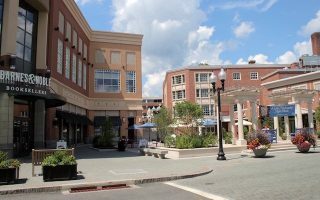 The city of West Hartford is an up and coming suburb, known for its elegant neighborhoods and hip shopping centers. Public improvement projects have recently amped up streets, sidewalks, and lighting, making for a great commercial/residential runs. Run a section of the 60+ mile Metacomet Trail in Penwood State Park. 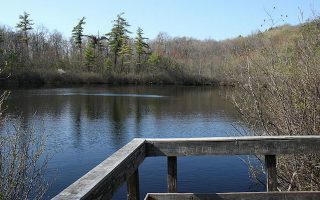 This hilly but scenic 6 mile out and back includes views of a lake and a vista from a traprock ledge. A beautiful run in the state's largest historic district, spanning 2 sq mi and 1,100 buildings dating back to the 17th, 18th and 19th centuries. 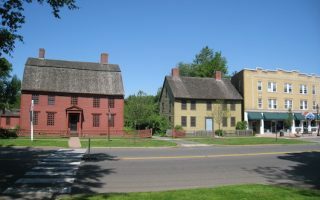 Old Wethersfield is 5 miles south of Hartford. Create your own route or use our 4.3 mile mapped run. Hartford has weather typical if interior southern New England. Summers are warm to hot and humid, with average high temperatures in the mid-80s, with warm nights. Fall is a fantastic season for running. Winters are cold but not severe – average January highs are just above freezing, and lows around 20F (-7C). Runners will need to prepare for cold, snow, and ice in winter. CTVisit.com is a good source for tourism info. Fleet Feet Sports in West Hartford is the premiere running store in the area. Group Runs: Wednesdays, 6:30 p.m.
Further south in Glastonbury, Sound Runner is another great store and has an extensive Group Run calendar. Fleet Feet has a good list of upcoming local races.